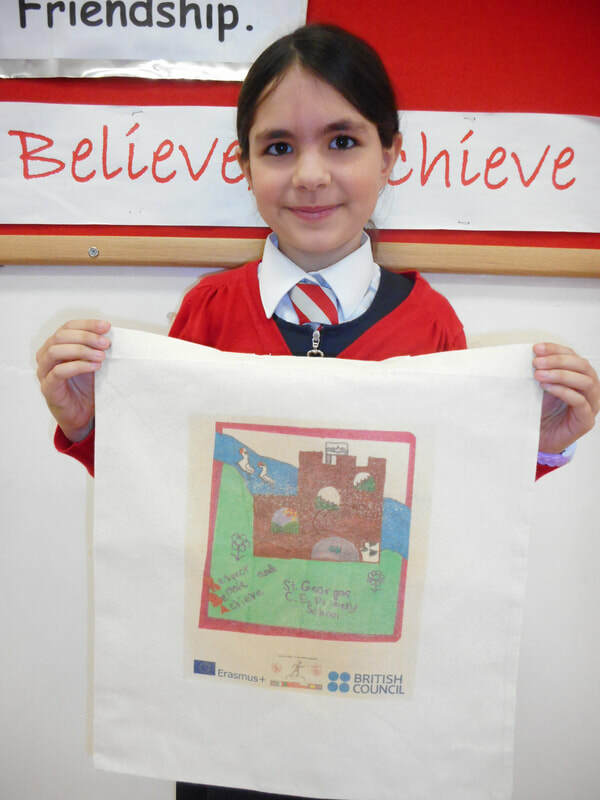 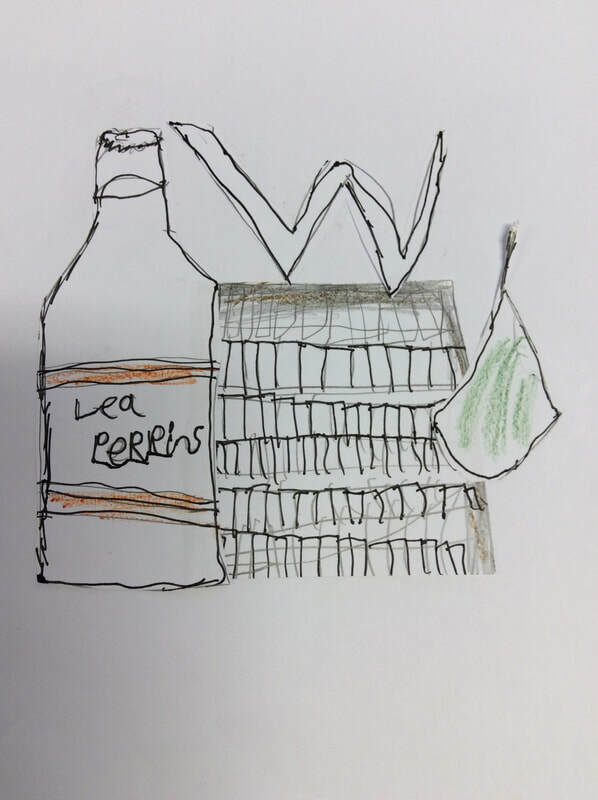 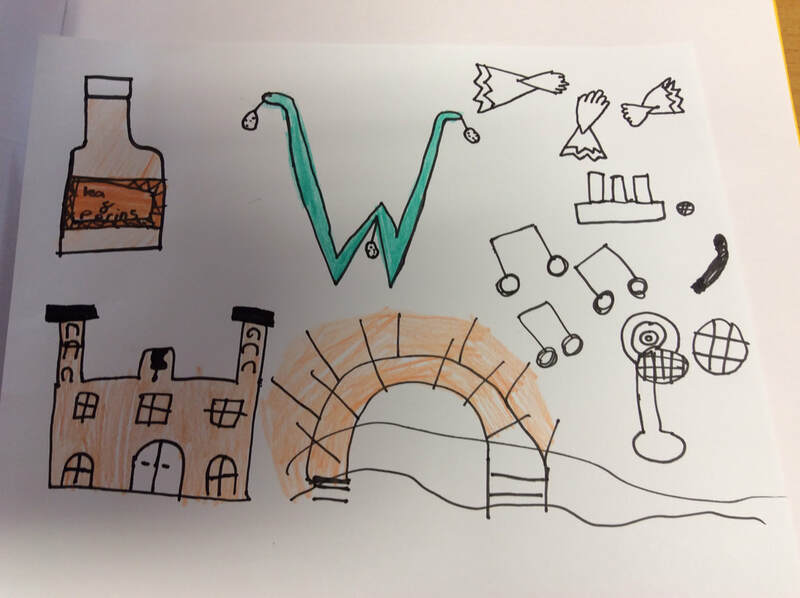 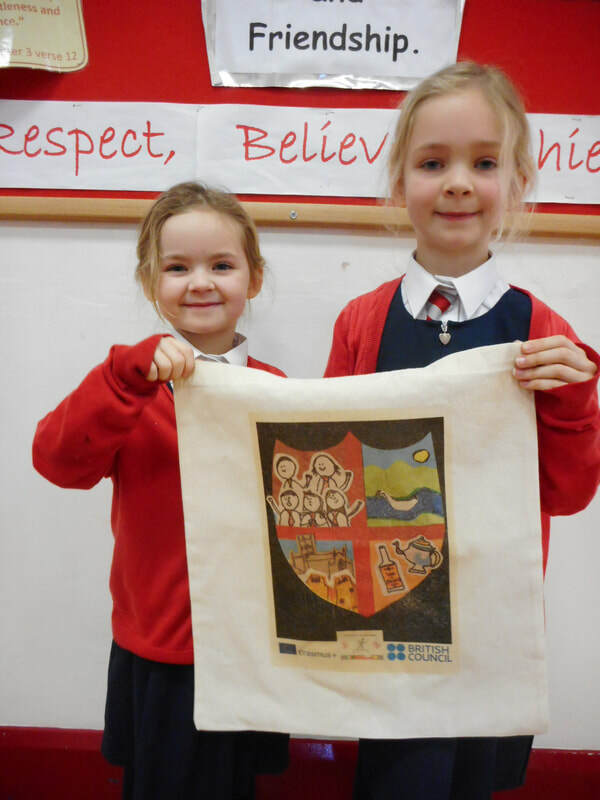 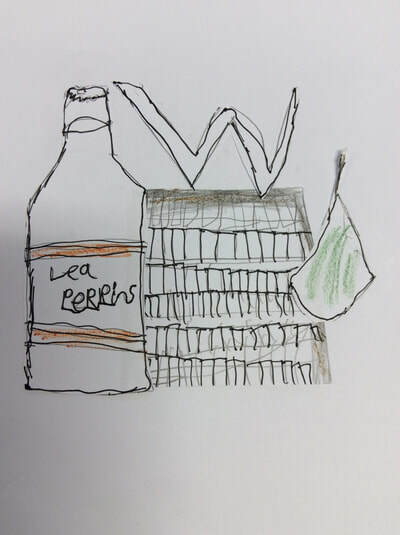 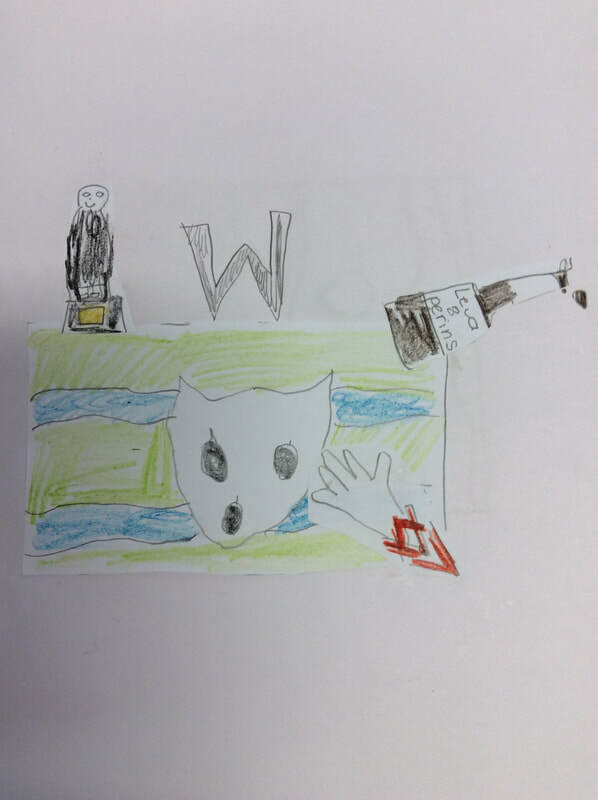 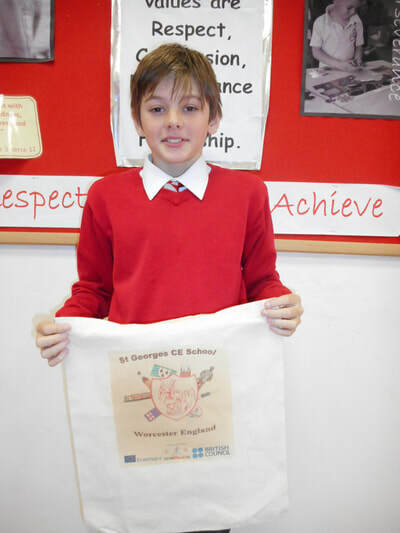 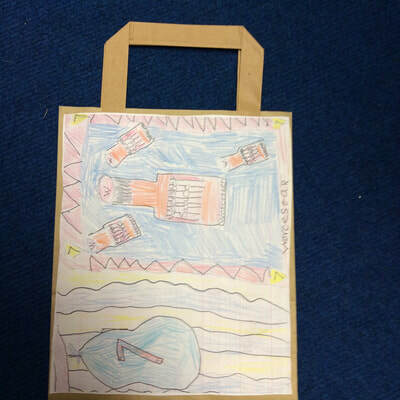 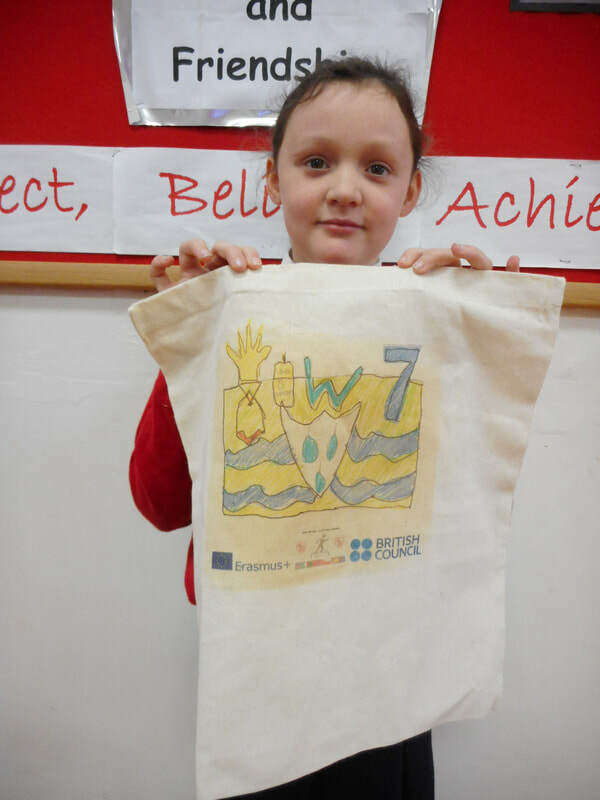 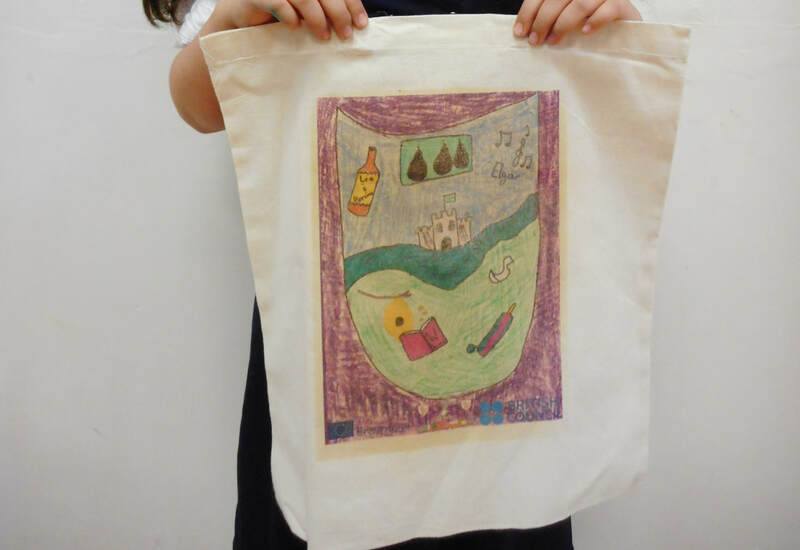 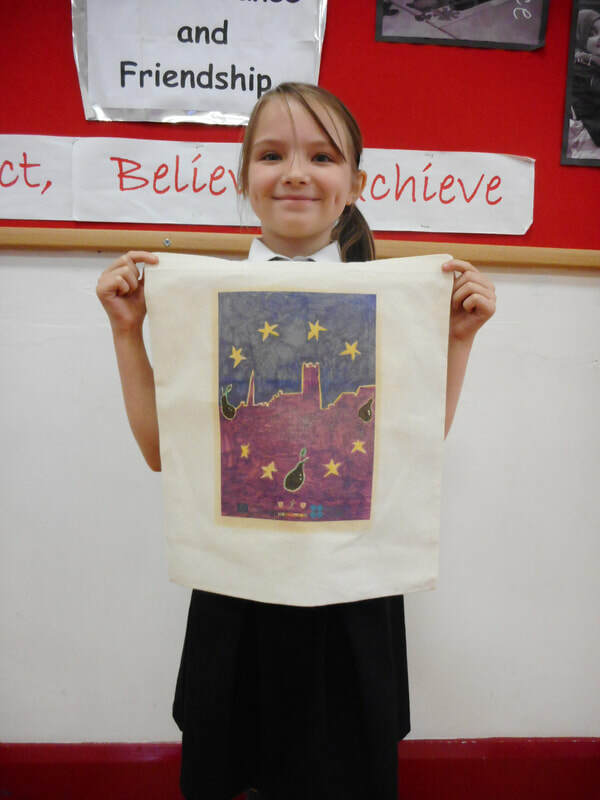 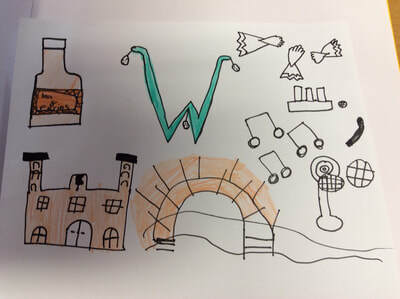 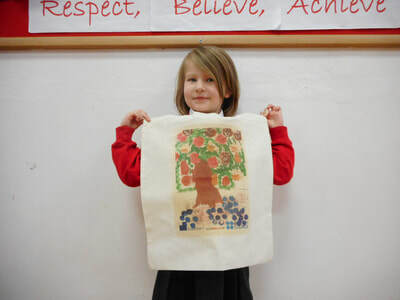 All the children at St Georges were invited to design a image for our "Who are we Bags ?" 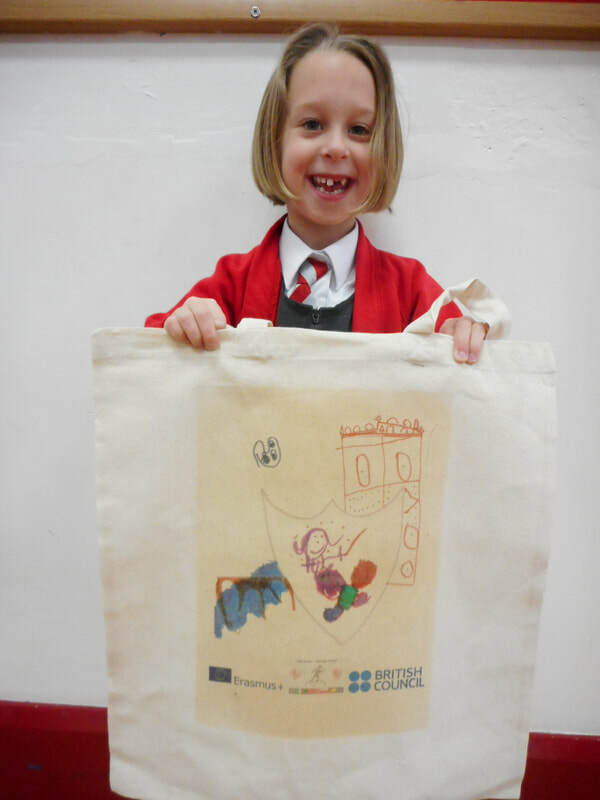 These were judged by a local artist who then printed the winning images onto the bags. Below are some of the entries and the winning bags. 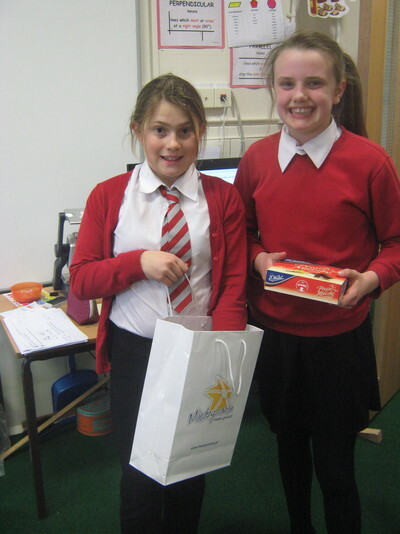 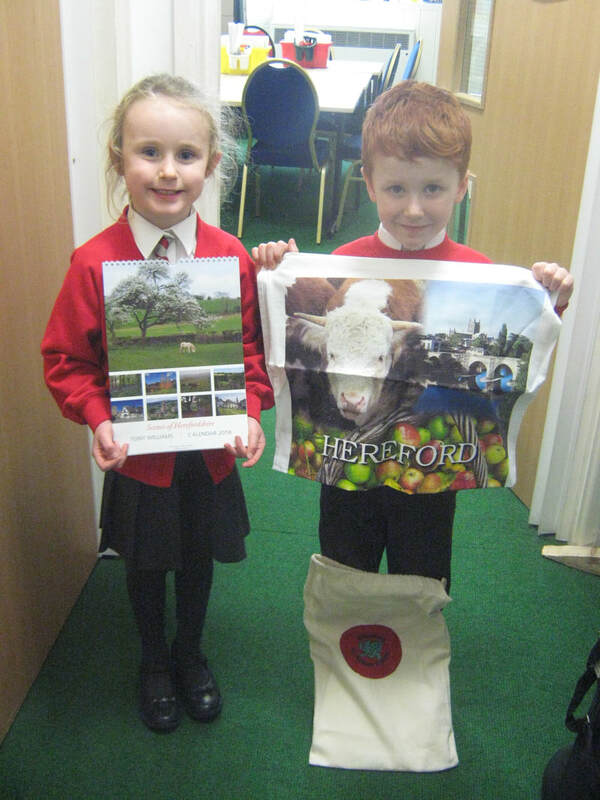 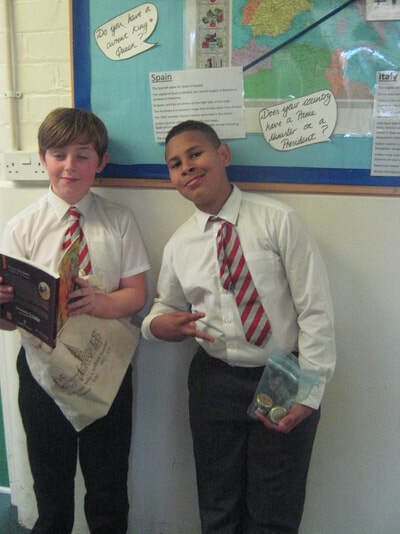 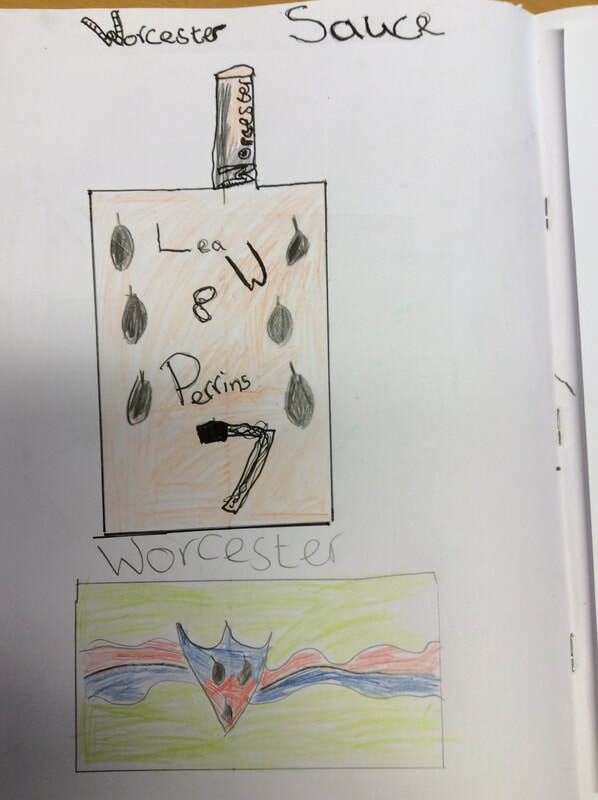 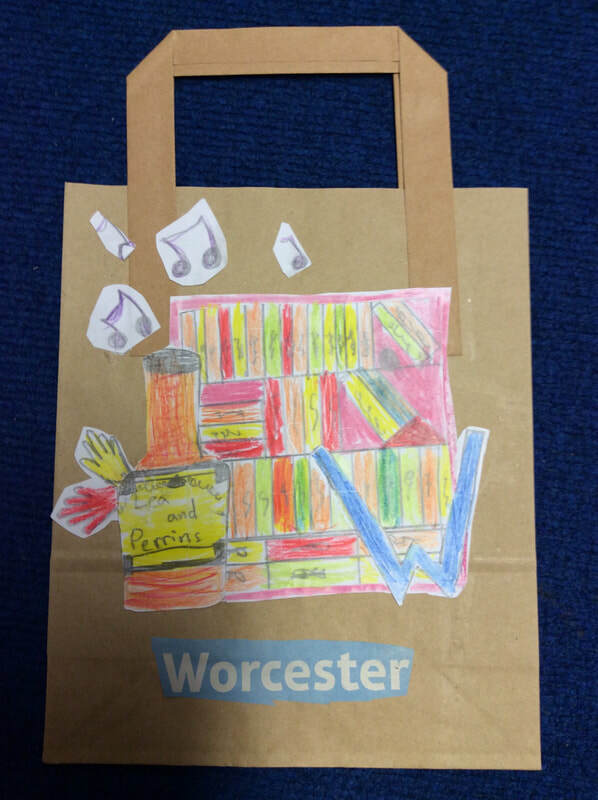 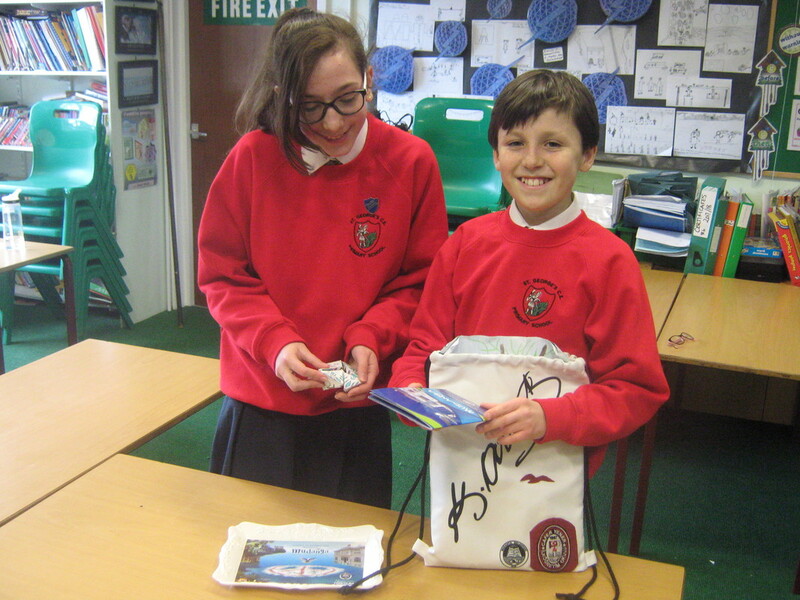 The bags were filled with items that represent Worcester and the UK - Worcester sauce, shortbread and seeds to grow leeks and lavendar. 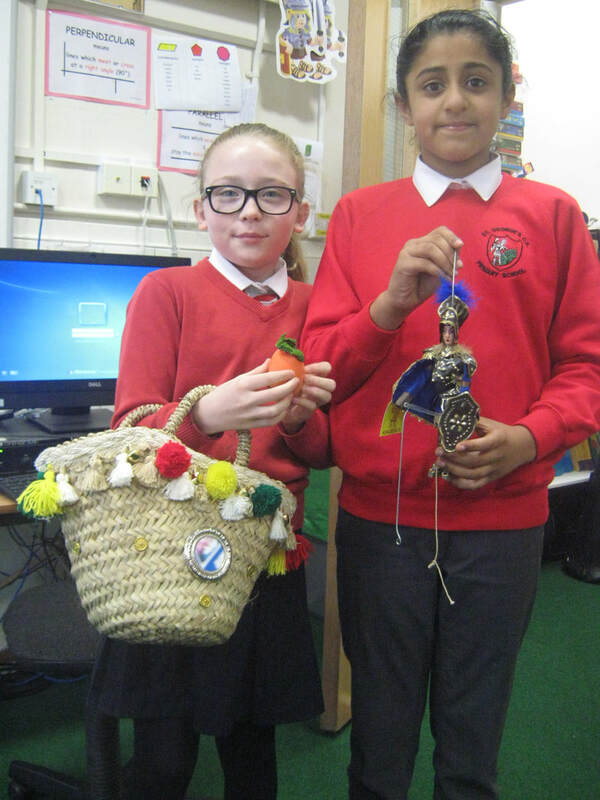 The children had fun looking in all the bags from the different countries.